When you are aligned with the Universal Laws, then all of your interactions will be of love, support, kindness, and compassion. Channeled by Genoveva Coyle. Greetings my dearest ones! 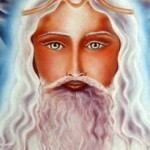 I AM Raj, I AM Sanat Kumara, holder of the Planetary Logos, in charge of the implementations of the Universal Laws. But I am not a distant teacher, I am your brother, I am your family and close friend, for we have traveled, worked, and played together through many lifetimes, and in different timelines and places. And so I come today, yet again, to talk about love, and yes, about the Laws of Love. It gives me great pleasure to be here and to see how many of you are asking every day to be aligned with the Universal Laws so that you can be at your best as you offer your service. And so, this is the way you are able to create that beautiful tapestry of love for your world, so unique and magnificent that it would blow you away in awe if you could see it. And of course, you know and feel the fact that you, your integrated being, is being part of this world, for it is you – the beauty and the totality of your sweet selves – that is in complete charge of what is being allowed to come, and arrange how you interact with everyone in your reality. When you are aligned and flowing smoothly with the Universal Laws, then all of your interactions will be of love, support, kindness, and compassion. And so everyone who comes to you will have no real choice but to be in awe and wonder at who you are, and therefore, be on their best behavior, just like a child walking into a wonderful world of magic. They will leave their fears and temper tantrums outside your door, for without much need of a conscious decision on their part, they know that there is no room inside your world for any of their unloving ways. Some will be transformed forever and will completely discard all of the old memories and pain, and some will come back and revisit you so they can absorb more of the goodness and the deep peace that emanates from you so abundantly. But how you have transformed others is no concern of yours. What you do need to work on is to keep your space sacred and pristine at all times. And you do that in so many beautiful ways, for whether you invoke and align with every single particular Universal Law starting your day, or breath in my golden energy and ask for my assistance throughout the day, and/or set the clear intention to be only love in every encounter, therefore responding and acting only from your hearts, it matters not, for it works the same way. 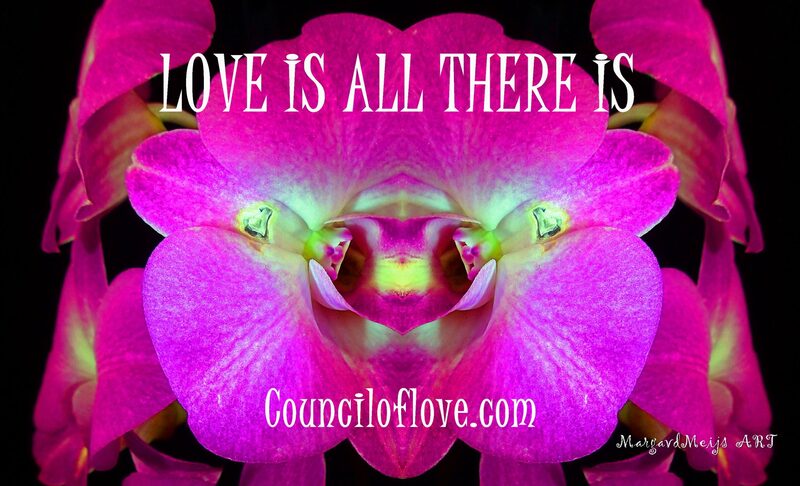 There are parts of thee where the weaving of your new world is done in the most beautiful collaboration with your circle of love, with fellow soul family, and with other lightworkers and love holders, and that is a harmonious and flawless interweaving of many realities of this Nova Earth. And there are parts of you where you need the awareness and a quick reminder to shift into your hearts because the ones that come to you can be disruptive and very loud in their demands as they search for unconditional love. It is easy for you to see and understand their pain and cries for help, but at the same time to maintain that unshaken peace and high vibration of your space. When you allow them into your space you set the rules – yes, the Universal Laws of Love and Compassion are already running and are in full effect – and they will have to respect them or else they will not be able to stay. And this is accomplished without much talking or taking action on your part, but it is done through your energy fields because of the loving and gentle demeanor of the ascended masters or angels-in-form that you all are. Everyone knows instinctively how to behave in a clean and pristine white and cozy warm place, wiping their feet at the door, talking softly, not running and breaking the crystals and the marble statues. And that is because everyone has etched in their hearts the love and respect for beauty and purity when they see them. You are just reminding them of what they already know, dear hearts! You are doing phenomenal work and I am here to assist you in every step of the way! Farewell for now!